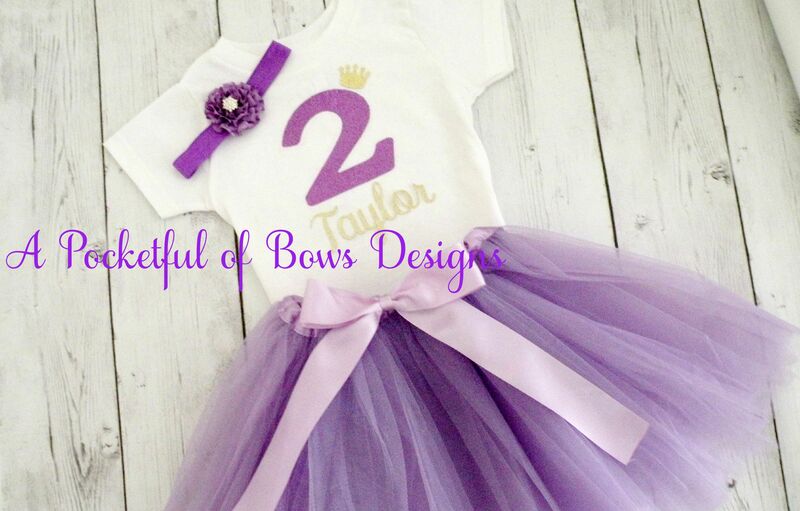 Lavender 3 piece tutu outfit includes your choice of the baby body suit or toddler tee shirt. 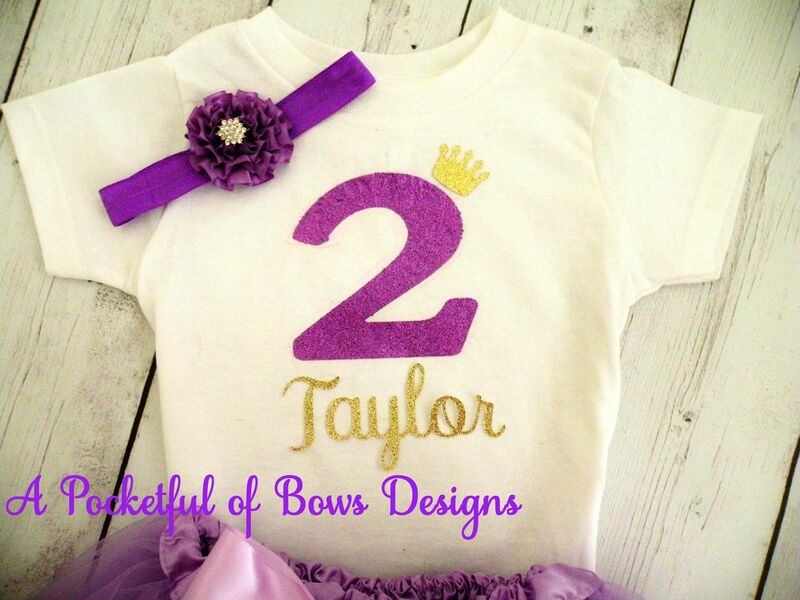 The tops come with birthday number in glitter purple and the NAME on glitter gold. 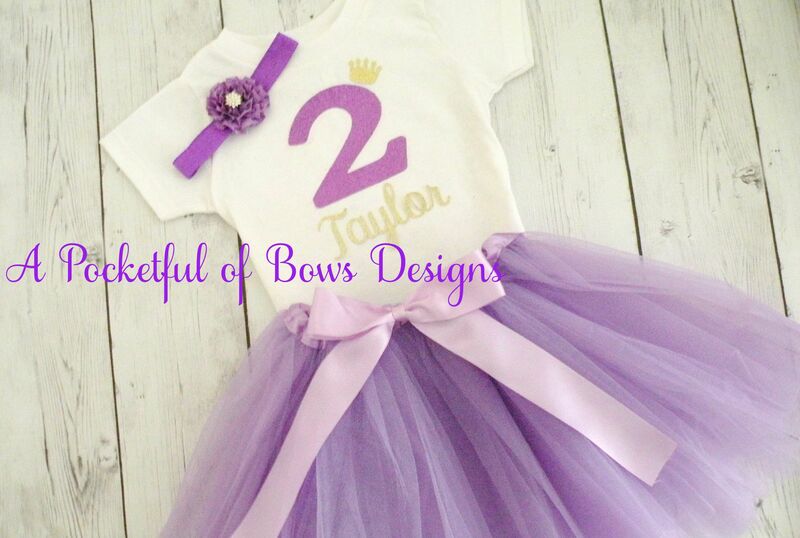 The headband is purple and has a flower with gem center. 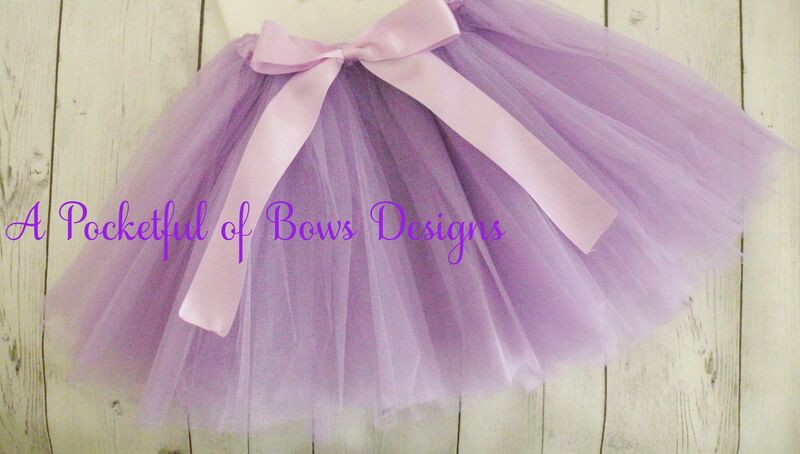 The tulle skirt is lavender with a satin bow.